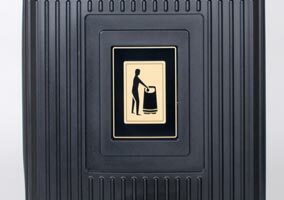 Glasdon Jubilee™ 80 Gallon Trash Can - Glasdon, Inc. 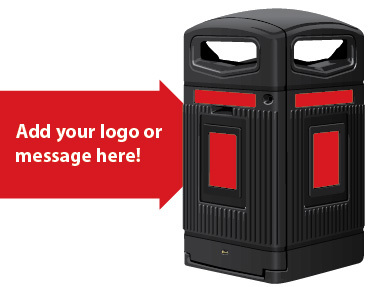 The Glasdon Jubilee™ 80G trash can is ideal for high foot traffic environments and trash hotspots in urban spaces, parks, rest areas and tourist locations. 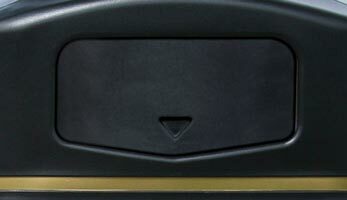 It is designed to provide secure cover for a standard 64 gallon wheeled liner or up to 79 gallon bag holder system. 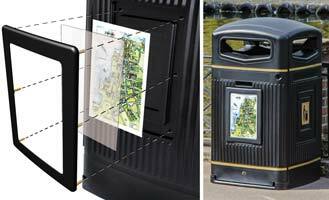 This traditionally designed housing offers a larger capacity solution to help remove the sight of overflowing waste and reduce collection costs. 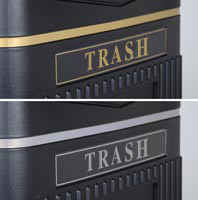 The Glasdon Jubilee 80G joins the Glasdon Jubilee range of traditionally designed trash cans and recycling containers. Houses a standard 64 gallon wheeled liner or 79 gallon bag holder system, to collect more trash and reduce frequency of waste collections. 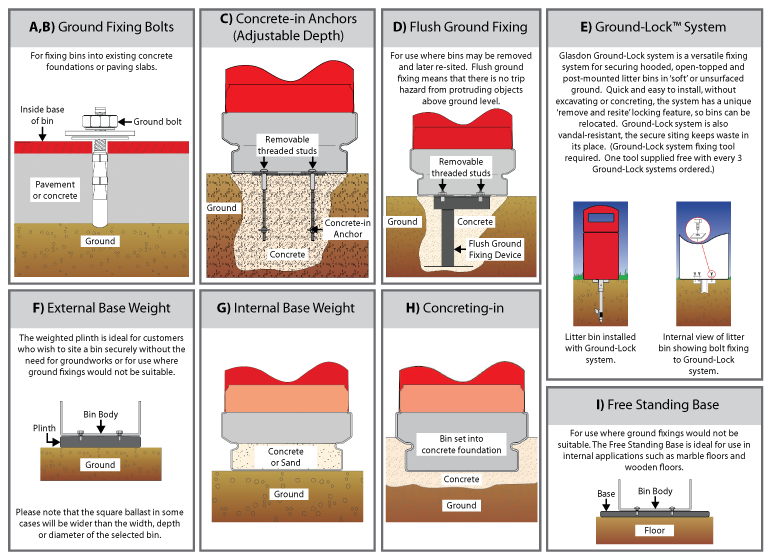 Traditional appearance and choice of easily identifiable labelling along with four apertures makes it attractive and easy to use for the general public. 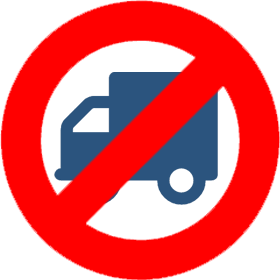 Durapol will not chip or rust, is easy to clean and the unique ribbed design deters flyposting. 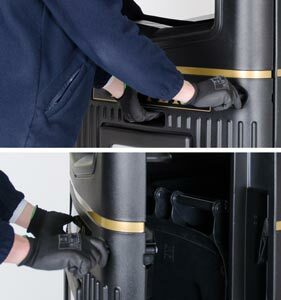 Unique 3 point interlocking system ensures the wheeled liner is secure. 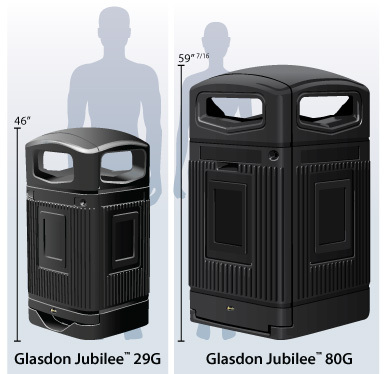 Glasdon Jubilee 80G co-ordinates with the Glasdon Jubilee 29 Gallon Trash Can and Recycling Bin Range. We design with personalization in mind, providing you with the flexibility to add your corporate logo or message onto the areas highlighted opposite. Optional poster frame kits are also available with this product offering you the option to change campaign messages more frequently. Why not add a map or transport information?